Grow your business and stretch your budget with the easy-to-own 15.6-inch Dell™ Vostro™ 1015 — designed in a way that IT assistance won't be required! Intel Core 2 Duo processors and latest-generation Intel® 45 Express chipset provide great productivity. Easy remote collaboration — Videoconference online with the integrated 1.3 megapixel camera and digital microphone. One-year limited warranty* with Return Services and Hardware Warranty* Support for the length of the warranty* term. Introducing Dell ProSupport – Faster, more reliable support services designed to address the technology challenges you face today. This new support portfolio is focused on your needs, time demands and budgets. Dell ProSupport starts with the Dell ProSupport for non-IT Professionals Service Model, designed to take care of both you and your employees’ IT needs 7x24. "How-to" support on popular software applications such as Norton AntiVirus, Microsoft Office, Microsoft Small Business Server, Intuit QuickBooks, Adobe Photoshop and Adobe Acrobat. CompleteCover™ Accidental Damage Service* - Repairs or replaces accidentally damaged systems. Dell Network Assistant – Connect your office to ease file-sharing, maintain security and manage devices on the network. On-Site System Setup*- Choose custom hardware, software and peripherals for your new PCs, then let Dell professionals install them for you. Advanced Configuration Services – Go beyond basic hard drive configurations and save time during system setup. 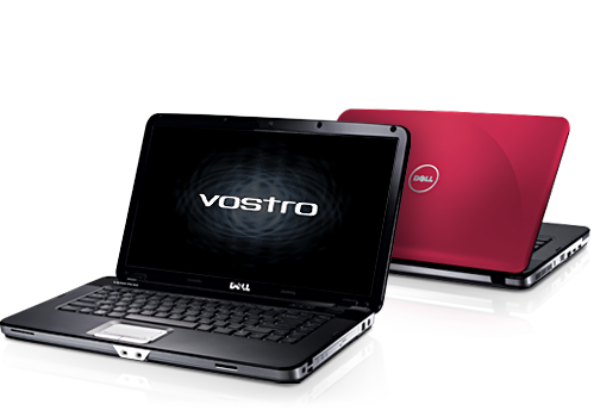 Choose from a variety of factory-customized hard drive partitions for your new Vostro. One-year Subscription 10GB Dell DataSafe™ Online Backup – Protect your data by backing up your files to a safe, remote storage site. Relax knowing that your critical data is safe from hardware, software and catastrophic events. Protect, share and access your files on your computer. One-year Automated PC TuneUp Subscription – Simplify setup, regular maintenance and troubleshooting problems with PC TuneUp. Simply choose a date and time that works best for you, and Automated PC TuneUp will perform regularly-scheduled PC maintenance tasks so that can help you get optimal performance and security from your Dell system. Dell Support Center – Search no more for your services tools. Dell Support Center is one central location that houses the tools you need for making them easy to find and easy to use. Dell Support 3.4 - Keep your system in optimal working order by constantly monitoring, identifying known errors and presenting you with auto-fixes before you even realize a problem exists. You tailor the level of support that’s right for you. For moderate to heavy users, upgrade your One-year 10GB Online DataSafe Backup subscription to 20GB or 100GB. You can receive the same benefits that the standard service offers with room to grow. Dell makes it easy to get help fast when your business needs it. All Vostro systems include a standard One-year parts and labor Limited Warranty, with the option to extend it for up to 4 years. One-year Hardware Warranty* – Get the assistance you need when you need it with Mail-In Service – parts, labor and limited warranty. DellConnect* – Whether you’re on the road, or in the office, Dell can troubleshoot and repair your system remotely through an Internet connection. Extended Hardware Warranty* - Extend your limited warranty* up to 4 years and upgrade your service to Next-Business-Day On-site service to protect your IT systems from: costly downtime, changing business needs, lost productivity, high cost of out-of-warranty repairs. Next Business Day On-Site Service – Get the assistance you need when you need it with Next Business Day On-Site* service – parts, labor and limited warranty.